A group of Rice County residents met last night in Northfield and started to form a club called Cannon River Offroad Cycling & Trails (CROCT). Back row, L to R: Bruce Anderson, Michael Lehmkuhl, Curtis Ness, Scott Koehler, Carl Arnold, Todd Amunrud. 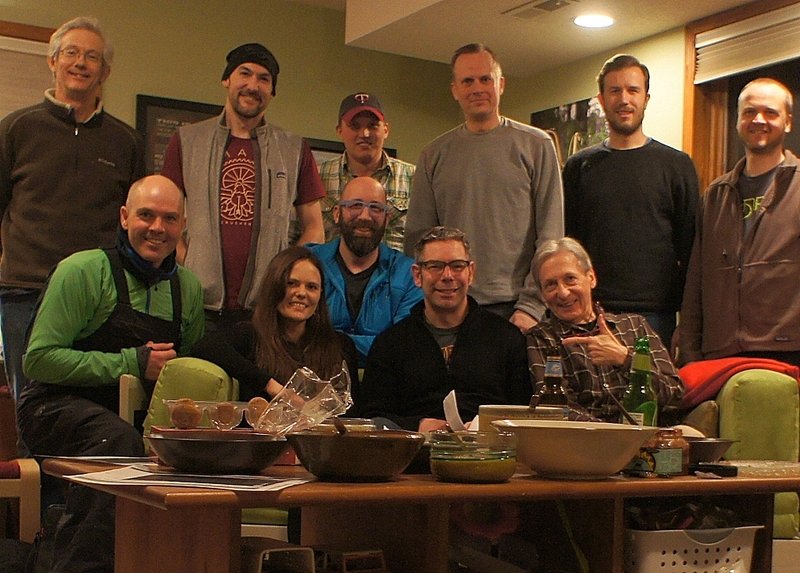 Front row, L to R: Tony Seidl, Sarah Jensen, Marty Larson, Kevin Herman, Griff Wigley. If you’d like to be involved in helping to organize the club, contact us.